Hi since installing Mojave 10.14 im experiencing really long load times im using a MacBook Pro (Retina, 15-inch, Mid 2015). 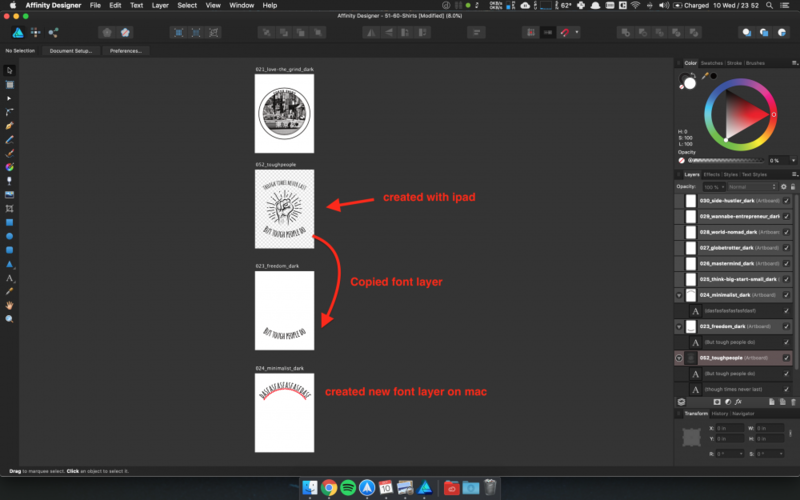 Is there any updates to Affinity designer and photo being released. I thought someone may have replied to this by now, quite an important question. Mojave has been out for a week (and beta for some time) so a Yes or No from the developers as to whether it works or, if there are any issues and to hold back updating to Mojave. As far as I'm aware there's no reports/issues running Mojave. I've been using it (the Beta still have to install the release version) for weeks. Press and hold ⌃(ctrl) until a Clear User Data dialog appears, keep the first three checkboxes ticked and press Clear. Note that any custom preferences will be lost (leave the other boxes unticked otherwise you will reset everything - brushes, custom keyboard shortcuts, presets etc). You will have to backup those first manually if you want to tick all boxes. Here's a video explaining how to backup them just in case. Let us know if you still have issues after the reset. Excellent. I'll install it on my laptop first just in case. The last time I used this was an early beta on a USB drive so I haven't had a chance to test the most recent ones. I bought a MBP 15 two weeks ago. At that point I decided to switch to Affinity Photo (I hadn't tried it before but reviews were good and it can't be that difficult to migrate from Photoshop). All was good. Affinity Photo seemed lightning quick although I admit I was coming to it from a 2013 MBP 13 and CS6. When Mojave was released I updated. Big mistake. I can no longer use swipe gestures on the trackpad to browse RAW files in a Finder window (this is a big issue for me!) and everything on Affinity Photo suddenly seemed sloth-like. And I do mean everything - applying filters to saving .afphoto files to exporting jpegs. I joined this forum to see if there was a known issue but haven't seen anything. Today I downloaded the trial version of Photoshop CC 2018. It is fast, blisteringly so. I remember Affinity Photo being like that last week. I assume it's Mojave but if it's something else that I've done (or not done) please let me know. My MBP 15 is two weeks old and I paid extra for 32gb of RAM and 1tb storage so Affinity Photo should not seem slower than CS6 on my 5 year old MBP 13 should it? If anyone knows of a fix, please get in touch. I went to the Apple Store and was surprised to learn that the Genius had not yet updated his own MBP to Mojave! His advice was to contact tech support - I thought he was tech support?! - and get them to look at the system and possibly revert it to High Sierra. My MBP is now running High Sierra again and so far from the limited things I've done Affinity is back to being snappy in it's responsiveness. However, compared to Photoshop CC 2018 it leaves a lot to be desired when saving a .afphoto file with two layers (original was a 24MP Canon RAW file) but I refuse to sign up for a monthly subscription so I'll persevere with Affinity Photo. Additionally my whole Mac feels more responsive (RAW files are once again instantly viewable in Finder) so I won't be upgrading to Mojave again any time soon! Experiencing slow response as well depending on the action. 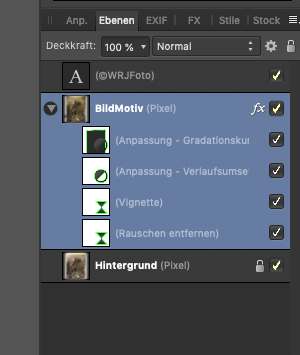 I discovered also that Live filters do not work when starting Affinity from Photo's for Mac vs 4.0. They do work when I start Affinity stand alone and import a picture though. I'm not having issues with Live Filters when I send a file from Apple Photos to Affinity Photo neither using the extension (Edit in Affinity Photo) nor using the Edit With ▸ Affinity Photo command. 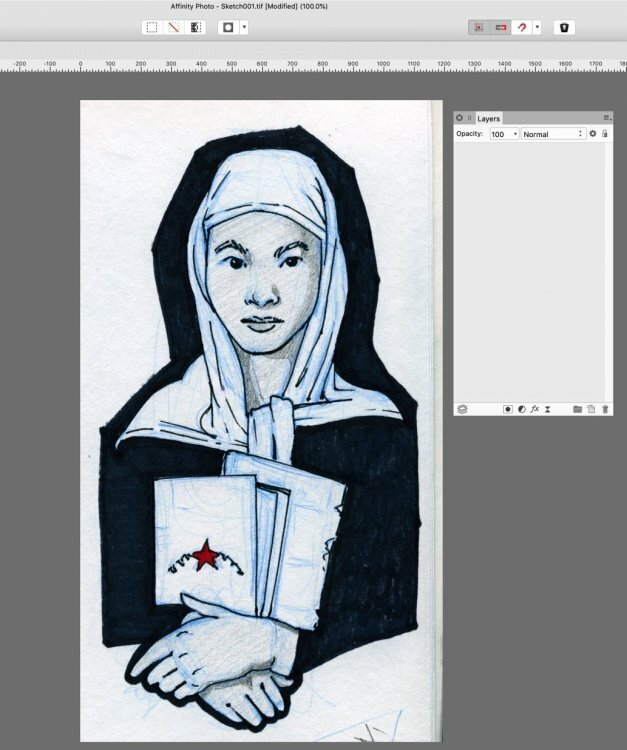 What happens when you try to apply the live filter to a an image sent from Photos? It simply does/nothing? Does the live filter appear in the Layers panel? i am also facing issues since the update to mojave. Affinity Photo is nearly impossible to use. It hangs on every interaction and needs just a lot of time to do anything, even on small operations like change the brightness. As by now i tried to compose a few HDR projects, develop some RAW files and panoramas. Nothing worked as fast as i know it from before the update. I had to abort the HDR compositions because it was just impossible to do anything. Developing 3 RAW files took like 3 hours, just because i really needed thoose. Panorama worked but a lot less quick then before. I have a 2017 13inch MacPro (16GB) and never really performance issues with AP or AD. I don't know which more information you need. i Hope this helps already. Im having performance issues too from the Mojave update on. AP is really slow , sluggish ... makes me wanna reinstall the system. AD is working fine, didn't had any issue for now. Photo is crashing under Mojave when I try to select a different brush on the brush tab. Performance is slow as well. This is on a Mac Book Pro Late 2016 2.9 GHZ i7 and 16GB Ram. Painting is so slow now that the program is un-useable for me, slow and can't change the brush I am using. @GabrielO could you check if after you reinstalled AP the checkbox under Preferences (Performance -> Enable Metal compute acceleration) is checked and if not enable it and restart AP and check if its slow again. I can confirm this: Metal compute acceleration massively decelerates Affinity Photo. @MEB, Thanks for your welcome and response. Somehow I forgot to turn on the notification, hence my late response. Problem seems to be gone. I cleaned up my mac by running some maintenance scripts and emptying cashes. (more specific I had issues with local adjustments using live-filters). After a reboot all seems to work. The extension "edit with Affinity" from within Photo's still doesn't work; I reported that already as a bug existing in High Sierra and still is there. Hi, this bug is driving me nuts and cant figure out what it is. 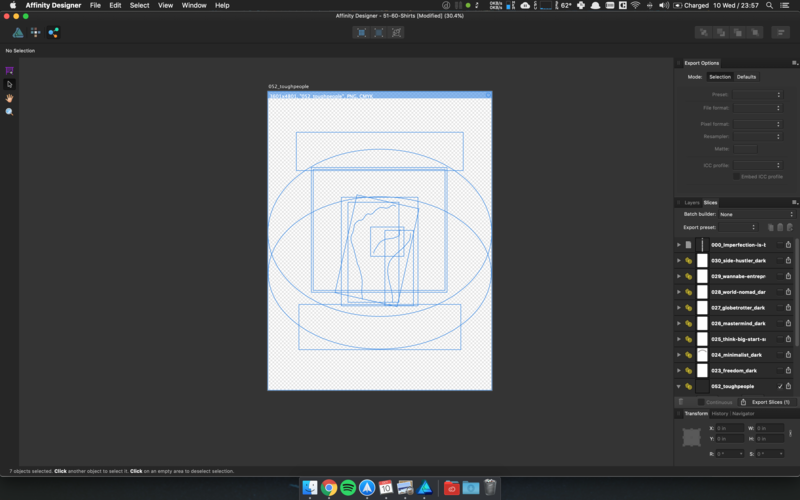 I created a sketch with the ipad app and synced the file with icloud to edit on my mac. but when i want to export this, the layers that were created on the ipad are just gone. 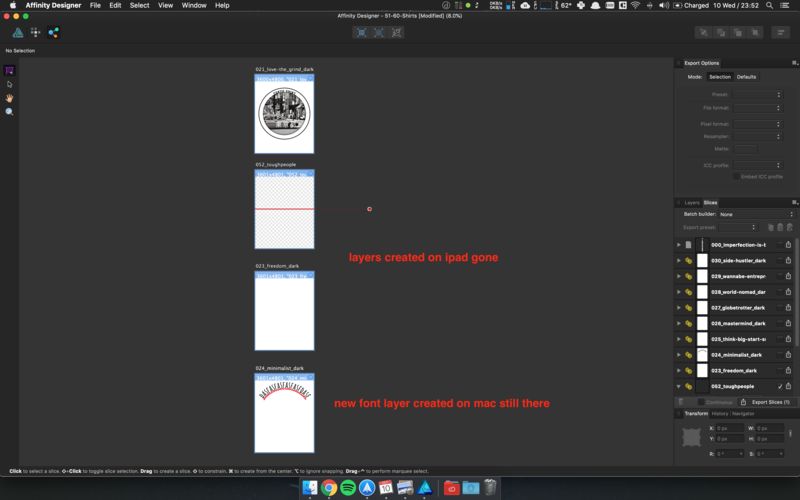 layers are still somehow there in export persona but not visible??? I feel like i run into more bugs since i updated to mojave. ".. I went to the Apple Store and was surprised to learn that the Genius had not yet updated his own MBP to Mojave! .."
i had the same issues mentioned above. AP didn't react at all. After deinstalling ALL AP components and Ap itself with App Cleaner and reinstalling from the App store, it seems to be alright again.